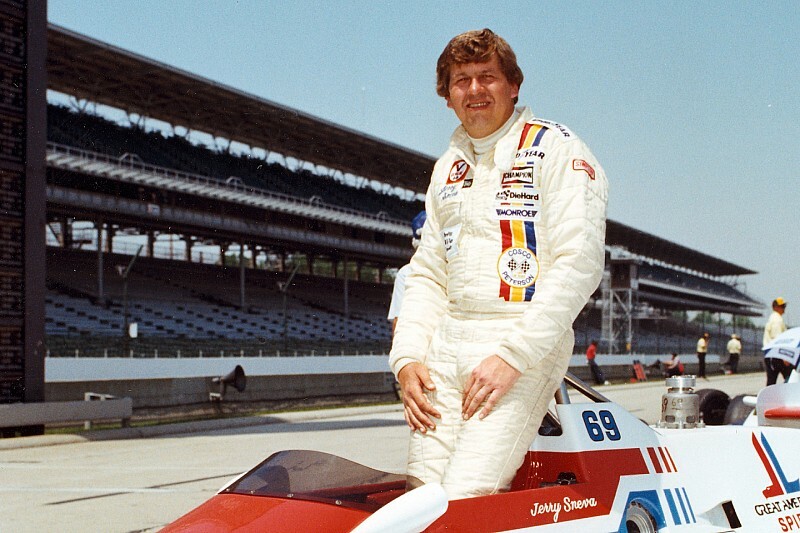 Jerry Sneva, the 1977 Indy 500 Rookie of the Year, died last weekend at the age of 68. 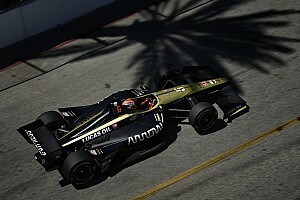 Sneva, the younger brother of 1983 Indy 500 winner and two-time Indy car champion Tom Sneva, scored six top-10 finishes in his Indy car career, but never had the quality equipment to make a lasting mark. That’s what made his best efforts at Indy even more special: his 10th place finish in ’77, driving an aged McLaren, and his fifth place on the grid in 1980 driving a two-year-old Lola hinted at his skill. Sneva raced in the supermodified series Canadian-American Modified Racing Association but made his United States Auto Club debut in 1973 as a substitute for his brother Tom. Driving Carl Gehlhausen's rear-engine sprint car for the day, Jerry Sneva qualified for the main event and finished second. The 1977 Indy 500 was also Sneva’s Indy car debut, and while he started only two more races that season, he qualified a highly praiseworthy ninth at Milwaukee. 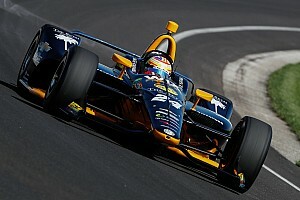 The following year, Indy brought no joy as his McLaren broke its transmission less than 20 laps into the race, and for the rest of the season he was a regular finisher but unable to crack the top 10. Driving the turbocharged AMC-powered Spirit of Warner Hodgdon, originally designated for NASCAR rising star Neil Bonnett, Sneva qualified for the ’79 Indy 500 with his throttle jammed open, but using the kill switch to shut off the car for each Turn. This scarily brave effort, which earned him 21st on the grid, was ultimately in vain, however, as the car died with a burnt piston on raceday. 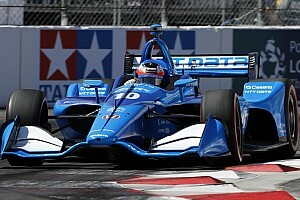 But his next two races, driving an Eagle-Offy, produced the best finishes of his career, with a fifth place at Milwaukee and a fourth at Pocono. He’d score two more Top 10 finishes that year, at Milwaukee and Ontario, the latter in Hodgdon’s McLaren-Cosworth. Driving a Lola, Orbitor and McLaren in 1980 Sneva again showed flashes of promise – as well as the fifth place in qualifying at Indy, he lined up sixth at Pocono and finished eighth at Milwaukee. But ’81 was a bust. After having his time disallowed at Indy for an illegal wastegate on his turbocharged Vollstedt, Sneva qualified 10th but DNFd at Pocono, and closed out the year with a 12th place finish at Phoenix. The following year driving a Hoffman Enterprises March, a collision at Turn 2 ended his Indy 500 bid, and he closed out his career with a run to 14th at Michigan. That wasn’t supposed to be the end of his career though. In 1983 at Indy during practice, two crashes in an ill-handling car followed by a stuck throttle in the repaired iteration prompted Sneva to abandon his efforts, although a few days later he was able to see brother Tom finally clinch the Indy win he deserved. Long since relocated from Spokane, Washington to Indianapolis, Sneva was regularly seen in neighborhood hangouts and in the IMS Museum and gift shops throughout the year. He formed many longstanding friendships with IMS staff members, and every December for years, he'd stop by to drop off wooden Christmas ornaments he had carved and painted for them himself. 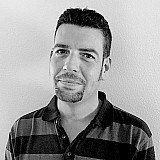 Motorsport.com extends its condolences to Jerry’s wife Kathy, children TJ and Shelby, and all members of the Sneva family.